Do you ever have moments when you look at your life, your problems, your struggles and before you know it you feel so rubbish that you can hardly find the energy for anything? Days or moments when you can only see what is wrong and struggle to see what is right? I am learning not to let these moments control me or to linger in my thoughts for too long. I am learning how to break free of them more quickly. Some days it is more of a battle than others. But I have to fight, because I know that self pity will destroy us if we let it. When we feel sorry for ourselves we become consumed by our own problems. We cannot break free from the “if only you knew how hard it is for ME,” mentality. We become consumed with ourselves. I am currently writing this post whilst lying flat, as I talked about in Surviving the Storm Eight months on. I have had a challenging few weeks with recurring CSF Leak symptoms which mean I have to lie flat for hours during the day to control them. Over the past 2/3 weeks I have not been able to stay upright for as long as I did a couple of months ago. There is only so much you can do lying flat! People have been asking me… ‘How are you doing?’ and I can’t lie. Things are a challenge at the moment. Sometimes they then respond saying ‘that must make you feel down’. Thankfully this is not the case, but some days I do have to fight those feelings. I have to work at keeping the right perspective. It’s currently 10am and I have been lying down since 9:30am (only having been upright for 2 hours). As I lay down I felt a wave of self pity begin to prod at me. I felt the ‘poor me’ begin to knock at my thoughts. But as I felt this, as it fought for my attention, pulling me to listen to its complaints. I decided I had to get free from it. Well I am doing it now. I am writing this post. Self pity you will not take me down. I refuse to be your victim. I refuse to be anyone’s victim. So today I invite you on my journey of dealing with my self pity. In the exact moment it is happening. This is not theory, it is a practical lesson in breaking free from something that can break us – if it’s allowed to. I don’t always get it right. I still struggle with self pity and selfishness, as we all do, but I am learning ways to stop it in its tracks. Being thankful is the number one weapon that we can use to fight self pity. I thank God for all the good parts of my life, how much better I am than at the beginning of the year & how much I can do. (I can write this post, for instance which I couldn’t do at first). I am thankful it wasn’t and isn’t worse than it is and that I have a great family and support network. Whether or not you believe in God we can always learn how to become more thankful for life and it’s blessings. We can only get the focus off ourselves if we move it elsewhere. If we allow our eyes to be opened to the problems and needs of others it soon puts our problems into perspective as I wrote about last week. Our mountain shrinks in size and becomes more of a hill in light of what some people face. I have read of many people with CSF leaks who are in a much worse place than me. Compared to others my story has not been so bad. When hope is gone we feel like we have nothing to live for. This is why depression is so destructive, because it strips us of our hope and of our energy for life. (I am so thankful to have not reached this desperation myself, but I have stood along side enough people struggling with it to understand the damage it causes and how difficult it is to get free from). How can we rediscover hope in the midst of hopelessness? We have to battle through all the darkness & negativity to find that one beam of light. To find those encouraging words and thoughts and hold onto them. We have to keep pressing through and believing we can come out the other side. There is always hope to be found if we will seek and find it. We have to choose to do away with the negative ‘what if’s’ about the future and focus on the positive ‘what if’s’. This doesn’t mean pretending or avoiding reality. We cannot live in denial. It just means choosing to see more of the positives rather than being blinded and consumed by the negatives that we cannot change. We can all learn to think more optimistically. Even if we are a ‘glass half empty’ person – we can change. I know from my own life, I have moved from a more pessimistic to a more optimistic outlook over the years and it partly comes through retraining the way I think. We don’t have to stay the way we are, we can learn practical disciplines which help change our thought processes. 6. Feed yourself with encouraging thoughts and words and get around encouraging people. For instance when you feel self pity knock at your door, whatever you do don’t sit dwelling on those thoughts. Be careful about listening to sad songs or watching sad films that perpetuate the negative feelings. Instead, you need to be encouraged. You need to find people and things that uplift you. I keep a store of great bible verses and quotes in my phone for this purpose. So I can always find words to counteract negative feelings when they come. I also then have words for others when they need them. Store up encouragement for that rainy day. I really do believe that a few simple words can change your outlook for the whole day. Self pity is always lurking round the corner in our lives. 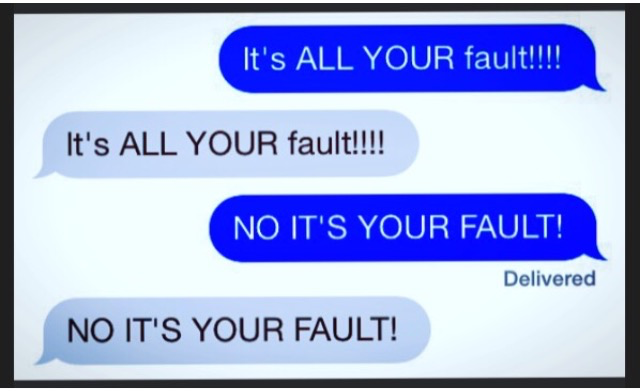 It calls us to listen to its complaints and excuses. But ultimately, it only leads to despair and destruction in our own lives and relationships with others. It amplifies our selfishness and drags us into dark ways of thinking. We all need to take care of ourselves. We need to be real about the challenges we face. We need to ask for help when we need it. What practical things do you do to deal with self pity? It would be great to share your ideas with others. Please do comment below. To read more about my ongoing story of living with a chronic spinal CSF Leak click here. I saw the words below on Twitter recently and they really got me thinking about what happens in our heads when we worry about something. WHAT GOES ON IN OUR THOUGHTS WHEN WE START TO WORRY? HOW IS OUR IMAGINATION INVOLVED IN WORRY? When we worry our mind runs through lots of scenarios. We picture things that could happen. We see things that might go wrong. Worry draws us towards the worst case scenarios. Our thoughts become irrational. Our imaginations can take us to dark places. However, soon if we are not careful, worry begins to set in, our imagination is let loose and we start a thought process that can go something like this …. What if there has been an accident? What if it was a bad accident? What if they are hurt? What if they are badly injured? How would the family cope? Rationality flies out the window and is replaced by a jumbled mind that cannot seem to help but imagine the worst. You lose control over your thoughts. You lose any sense of peace or calm. I have been there myself many times. It can creep up on you slowly, before you even realise it has taken hold. Or perhaps you have a strange and unexplainable symptom in your body so you ‘Google it’. Before you know it, you have diagnosed yourself with some of the worst diseases out there. This happened to a lady in a bed near me when I was recently in hospital. She Googled her symptoms and found a shocking diagnosis. She asked the Doctor about it and unfortunately he didn’t really give a definitive reply. Somehow the lady took that to mean that this worst case scenario was a real possibility, or even probability, and before you knew it she was on the phone to friends and family, totally distressed, telling them how bad this illness could be and might get. Unfortunately in hospital there is little privacy so you can hear everything that is going on. This poor lady spent all day reading up on this condition, allowed her imagination to run wild with it and obviously ended up totally distraught for most of the day. At one point I heard her say to her husband, in floods of tears, ‘if it gets as bad as it says here (on the internet) I think I would just kill myself’. It really did sound awful. The next day it turned out her tests were normal and they couldn’t find anything wrong. She asked the Consultant if it could still be the diagnosis she had found on Google and they said none of the tests showed that or anything else out of the ordinary. A lesson in being careful what you feed your imagination with. Worry takes over our thoughts. Before we know it, our body and mind are filled with so much anxiety and fear that we can’t think straight and can start to feel physically ill. Most of the time we soon discover that worry was totally unnecessary. We put ourselves through torture and nothing came of it. It all turned out to be OK in the end. That person walked through the door telling us that they only got stuck in heavy traffic or we discover that our self diagnosis was way off the mark. Our worry again wasted time, energy and head space. BUT SOMETIMES THE WORST CASE SCENARIO DOES COME TRUE – WHAT THEN? Did the worry before hand actually make dealing with the crisis easier? Instead it actually wears us out before the real crisis hits. When you let your imagination loose on that potential scenario before hand, you can fall apart just thinking about it. But when things actually do go very wrong you usually somehow find you do have the strength to deal with it. That’s because when you do face the real crisis you have no choice but to get on with it. You have to find that strength to get through. 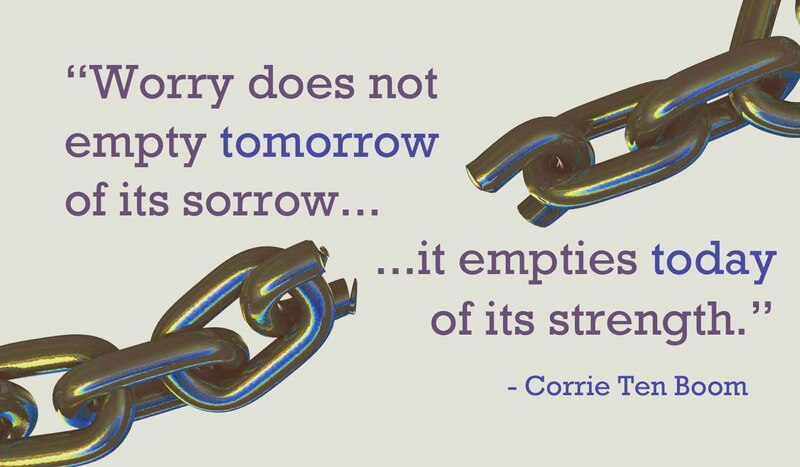 Corrie ten Boom was a Dutch Christian who, with her family, helped many Jews escape the Nazi Holocaust during World War II. In the end she was imprisoned for it. We only have today’s strength today! Worry tries to get you to focus on yesterday, today and tomorrow all at the same time. Which is why we end up feeling so overwhelmed! SO HOW IS WORRY A ‘MISUSE’ OF THE IMAGINATION? Yes I believe many of us do have a natural tendency to worry and negative thinking. I know that from my own life. But that doesn’t mean we can’t change that. If I understand that my imagination plays a key role in how worried and anxious I get, I realise that to find more freedom I have to look at my thought processes and think through how I feed my imagination. I have to change the way I think. BUT HOW DO WE REALLY CHANGE HOW WE THINK? HOW DO WE TAKE CONTROL OF OUR IMAGINATION? new ideas or best case scenarios. Worry hampers our perspective and creativity. Creativity is vital to our growth. If my imagination is full of worry and negative scenarios it takes up lots of my mental capacity and energy that can be used for positive creativity. Worry robs us of our positive creative energy. Track our thoughts back to their root. Look at what feeds our imaginations. Then retrain our thinking processes. We can ask ourselves; Do I feed my imagination with good things? With people, words and things that inspire and encourage me to explore, dream, discover, create and build? Or do I allow my imagination to be fed by dark and negative things? Which causes it to run away from me into worst case scenarios, dark thoughts and hopeless mindsets? It comes down to choice, and good choices are the pathway to freedom. Freedom in our imaginations doesn’t come instantly, it’s a process, but if we choose it, we can learn mental & spiritual disciplines to encourage it. I don’t know about you, but I want to use my imagination for good. Dream dreams and see with vision. Think differently and find new ways to do things. Have faith and see with a healthy and optimistic perspective. Creatively connect with those around me. Encourage others and be part of changing lives. That is what our imagination was built for and that’s what it needs room for. Our imaginations are a gift that need to be set free to see with new eyes, dream, create and spread great ideas. How do you use your imagination? Could you use it more effectively? Don’t you find the above quote both inspiring and liberating? A few years ago, when I truly began to grasp this concept, it was such a revelation to me. I began to see that I did not have to wait for the feelings of fear to subside before doing something that I felt was right. I just had to muster up enough courage to do it despite feeling afraid. I have found that the only way to conquer fear is to face it. Avoiding it only ingrains it further. Fear entraps you and lies to you that you can never get free from its claws. It takes control of your thoughts until your thinking becomes irrational. It feeds on worry, anxiety and negative thinking. It wraps around you, squeezing the life out of you, until you give in to its demands. Fear stops you from being the person you really are and tries to lock you into a place you feel safe. And even within that safe place (or comfort zone) it can take hold of your thoughts, paralysing you and trapping you to that perceived place of safety.That safe place can then actually begin to choke the life out of you because you get stuck and feel trapped, longing to break free but not knowing how. I just put on my husband Matt’s album ‘Heart Bowed Down’ that he wrote, recorded and released two years ago. He wrote most of the songs and did most of the work, but there are two of my songs on there which I wrote and sing and I am also singing backing tracks on many. Until we made and released the album I did not realise quite how many fears I had, and in fact still have to overcome, related to it. It was a bold step to invest financially in the recording equipment, for Matt to spend the time learning how to use it and then going through the exciting, yet agonising process of recording them. It’s a roller-coaster of emotions. One minute your emotions are up and you feel the adrenaline and anticipation of what you are doing. The next moment you are full of doubt, insecurity and fear, especially when things are not sounding how you want them to. The biggest challenge though, definitely came in releasing the album. Selling the album and giving it to other people is when the fears really take hold. It goes round and round in your head as you wonder and analyse people’s reactions. You speculate about others opinions and it eats away at your thoughts. I would say that even now as I put on the CD in the car or listen to it on the iPod and hear my songs, my first reaction is often fear! Why on earth do I feel fear when I hear my songs? That others have listened to it. That we dared to put it out there. That we gave and sold it to so many people. How did they rate it? How did they rate me? To be honest it often makes me want to cower under rock and throw the album in the bin. You don’t know how much humility it can take to ‘put yourself out there’ until you do it. Often people can mistaken this courage for pride, but actually it can also take a lot of humility. You have to fight through the fear that holds onto you with all its might. Tying you down, paralysing you, speaking doubts and insecurities into your mind, trying to stop you moving forward. I am thankful that we had enough courage to release that album. I know it blessed and encouraged a lot of people. I also know it was a good test in facing and overcoming personal fears. It was an exercise in getting over what people think. If we had waited until our fears subsided we never would have taken the plunge. Even in the midst of courage fear still knocked at our hearts and minds. But we knew we had to step out – despite our fears. Fear can keep us bound up in mediocrity because mediocrity feels safe. It’s when you try it do something different, when you take that plunge, that fear becomes more pronounced. And yet stepping out is also so liberating! If you know me personally, you may well think of me as very confident around other people, an extrovert perhaps. (Although in reality I don’t feel that either the extrovert or introvert labels fully define me – I am a mix of the two in different ways). This is because one of the things that most defines my life is building relationships with others. This means that I tend to know a lot of people. Some people might then assume that I find it easy to meet, talk to and get to know new and different people. But I would say that is only a half truth. In actual fact, over the years, and on a daily basis I have trained myself to overcome my fears, break out of my comfort zone and speak to lots of different people I don’t know. It partly comes with the territory of being church leaders. You can’t effectively lead people unless you can build relationships. We welcome new people into our church and the various activities we run on a weekly basis. Day in, day out, over the years, I have trained myself to reach out a hand of friendship and relationship to as many people as I can, from all sorts of backgrounds and cultures – regardless of their response. Regardless of my fears about what they might be thinking. Regardless of the potential rejection or hurt. So I have broken through my social paralysis year by year, day by day, person by person. Deliberately placing myself in uncomfortable situations to attempt to break the power fear has over me. Some days it’s easier than others. Sometimes I want to stay in the shadows and not place myself again in the path of rejection or other people’s opinions. Maybe if I stay in the shadows people won’t notice me. Perhaps I won’t draw attention to myself. Maybe that would be safer and more comfortable. If I obeyed my fears I would not have met and built friendships with so many wonderful people. If I had let my insecurities and speculation about what others thought overcome me, I would not be so rich relationally. I would not have the privilege of knowing and learning from such a diverse set of people. It doesn’t mean I don’t struggle with fear. Fears connected to what other people are thinking about me daily try to get their claws into me. I actually wrote about this in my post on the insecurity of others opinions. Do you really want to break free? Fear will stop us breaking free if we let it. It pushes us into a self preservation cycle, desperate to protect ourselves from what might harm or hurt us. It can pull people into self destruction and all sorts of bad habits and addictions. It causes people to put up barriers, push others away and build a hard exterior where they look strong, yet underneath they are scared, vulnerable and angry. The tragedy is that each day so many of us allow fear to control our actions, fill our thoughts, damage our relationships and steal our strength. Fear told us we couldn’t do it. We cared too much about what other people might think. We rehearsed all the things that could go wrong, rather than getting excited about what might go right. I will refuse to obey it. Go for it, step out, don’t be afraid! But even if you still feel full of fear. Dig deep for that courage. Decide to press on regardless. It’s the only way to overcome, conquer and break free! 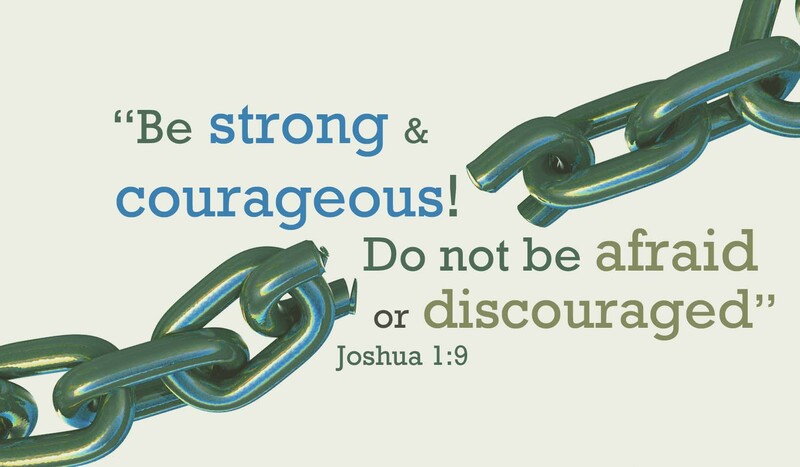 In this verse from the Bible God encourages Joshua to be strong and courageous so that he can lead the people. This post is part of the .Breaking Free. series of blog posts. Follow this link to read the series introduction. Do you ever feel like you want to break free? Break free from something … even though you cannot necessarily pinpoint what it is? Do you feel like you want to break out and discover more freedom? Do you desire change, even though you also fear it? What does it mean to break free? There are so many things that can trap us. That keep us bound up physically, emotionally, spiritually & mentally. Things that take control of our lives and stop us being the people we desire to be and doing what we desire to do. What do you desire to break free from? What is keeping you bound up? Each of us know that there are things that trap and hold us back, but we can’t always see how to break free. I believe the desire for freedom is something that is inbuilt within us. To feel free & liberated is a deep human desire. But what does freedom actually mean and why can we often feel trapped and bound? At the start of 2015 the brain and neck injury I sustained was debilitating. My life became so restricted as I spent 22-23 hours a day lying down and could do very little for about 3 months (followed by another month of recovery). During that time I felt trapped physically within a body that would not function as it should. I desired my body and mind to work properly, but they wouldn’t and I felt trapped by it. I desired freedom from the injury and the damage it had caused, but each day things hardly got better and they actually began to get worse. I couldn’t shake it off. If I fought it – it got worse. Even though I could not break free from the physical symptoms, I decided, from the start, that the injury couldn’t and shouldn’t control everything. I decided that I could break free and choose freedom in other areas. I was adamant that the injury wouldn’t take my psychological health as well as my physical health. Look at or use screens. Sit up or stand for more than about 15 mins at a time. However, I knew I had to take back what I could control and choose to stay positive, to stay thankful, to not let fear and worry control me. Even when I could not break free from the physical symptoms I chose to fight for freedom spiritually, physiologically and mentally. Some days that was easier than others. We can still fight for freedom. We cannot control everything in our lives but we can choose to take control of our thoughts and attitudes. The times I felt most trapped by my injury and illness were the times I allowed my mind to dwell for too long on the negatives. It was then that the battle would set in, trying to drag me into an unhealthy mental state. To pull me down into negative thinking and attack my physiological stability. In those moments I had to fight to break free. To remember all the things I could be thankful for. To choose to believe that things would get better. To focus on the positives and to push through to the inner peace that I knew was deep within my soul. I am so thankful that Matt and I share the same outlook on life. That even when things get tough we dig deep to find that inner peace. To hear the gentle calming voice within saying – ‘it will all be fine, you are OK, don’t be scared’. Now that was day 7 after my injury. I wasn’t, of course, OK and was diagnosed with Post Concussion Syndrome, but it wasn’t life threatening and that’s what the being ‘OK’ was about. However, by week 7 things had got worse; we took our 3rd trip to A&E and I was finally admitted and we got some answers as I was diagnosed with a Cerebral Spinal Fluid (CFS) leak. I then had to again fight to stay positive, to be patient, to trust I would recover, to choose everyday to keep on believing, trusting & pushing through and taking hold of that peace & hope within. Even when I felt at my weakest physically, emotionally and mentally, when it felt like I was getting battered from all sorts of directions, in all sorts of ways, I had to choose to stay hopeful. To find that strength amidst weakness and to hold on to the way forward. Breaking free is a mindset. It is birthed in the heart and received in the mind. You have to be determined to take hold of it. There have been many seasons in my life as well as many daily battles when I have to push to ‘break free’. My last two blog posts about insecurity, due to comparison and others opinions, talk about some of these daily battles. We all have them and some of our battles will be similar. And yet because we are all individuals, many of our battles will be unique to our circumstances and personalities. 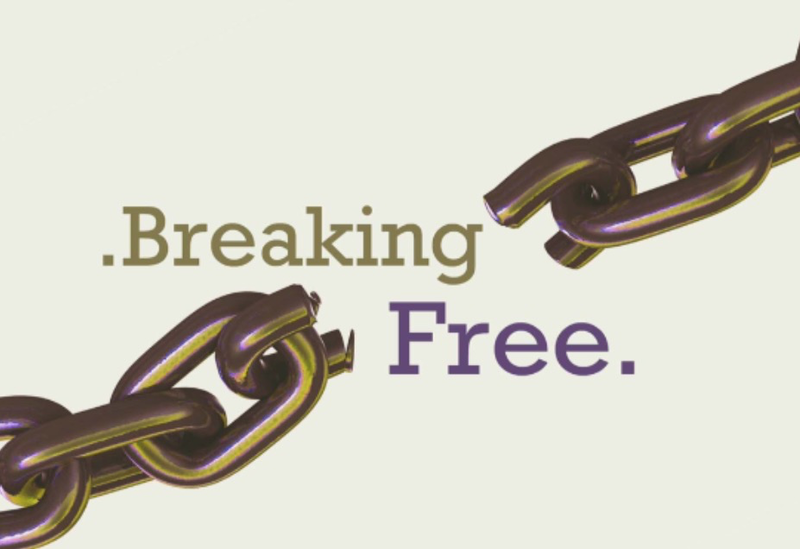 So to explore this subject of ‘breaking free’ I am going to write a series of blog posts about this subject. As with all of my posts I will try and make them as ‘real’ as possible. Sharing stories from my own life and things that have helped me. I am certainly not there yet. I still often have to fight to break free from the things that come against me. I still have days and moments where I feel more trapped, than free, especially in my thoughts. But I am on the journey. I have tasted of its liberation, peace and joy. But I know there is more. I know I can push in further still. To grasp hold of my freedom and not let go. What a vision for life – total freedom! For you and for me. It’s available. We just have to reach out and take hold of it. We are not built to feel trapped & bound. We are built to be free!